Support The UNI Varsity Men's Glee Club! We believe in the power of music to lift up, inspire, and help make the world a better place. Ongoing support of the UNI Varsity Men's Glee Club will allow us to continue to pursue the Excellence, embody the Tradition, and live the Camaraderie of the Glee Club. Kingpin memberships grow the Les Hale Endowment Fund (LHEF) and allow the LHEF Board the opportunity to provide funding for tours, tuxedos and the Director's Fund. Become a Bob Byrnes Kingpin today! The first payment on a Kingpin pledge plus the full $100 Adopt-a-Tuxedo payment (if applicable) will take place immediately. 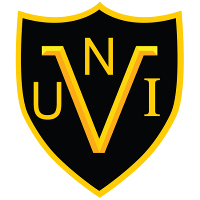 Thank you for your support of The UNI Varsity Men's Glee Club!